Finally February starbox arrived in my favorite pink box with purple combination. If you remember the January starbox came in Green box. This recent starbox called Lauren Clark special edition box. 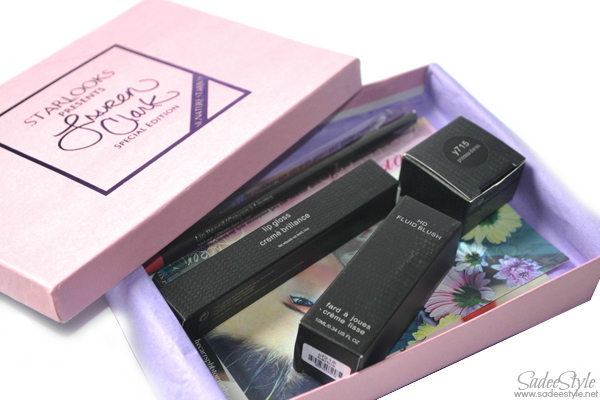 She is a makeup artist and a famous blogger from Canada this special monthly box is features Lauren Clark's favorite products. In the February starbox I was sent Starlooks Lip Pencil in Tipsy, Starlooks Princess Diaries Eye Liner, Starlooks Pink Oasis Lip Gloss, Starlooks Barbie Fluid Blush. It's a beautiful combination of pink with purple. Starbox monthly subscription comes with $15 price tag for month and we receive three or four full sized cosmetics item. I'm a girl who love wearing simple neutral makeup. I tend to wear jet black eyeliner since I have dark Asian eyes. I had always thought that only black eyeliner will suit me better. I've never tried pink or any other color eyeliner before and was disappointed when I found it in a box. At first I thought it's a cream blusher, but after I realized that It's an eyeliner. I was wondering that how it will look on me. However, I tried it and impressed. Starlook describe it as 'A waterproof, smudge-proof pot eyeliner that creates the perfect line when paired with out 844 pointed slant brush. 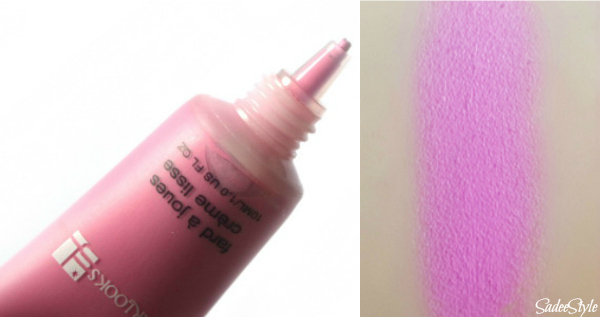 It also can be used as a saturated cream eyeshadow or shadow basel. In my opinion it's super creamy, easy to apply and very pretty color and a subtle change from the black eyeliner we usually wear. It's a good to experience with different colors eyeliners now I'm eager to try out the teal one. 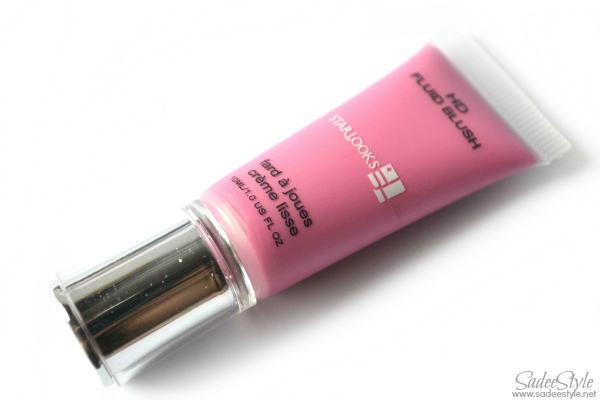 It's a cream blush that comes in a squeeze tube, Honestly the texture is a bit thick and dry in consistency. 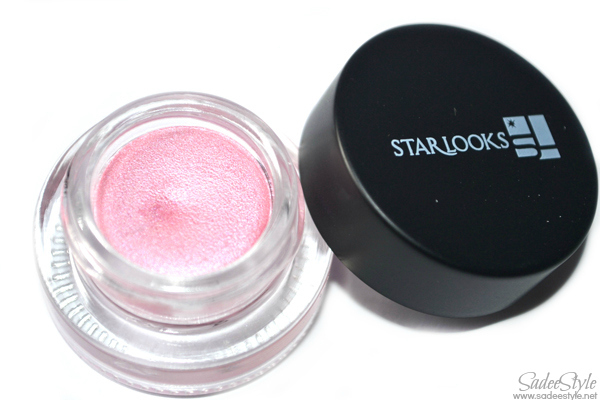 Brand claim it as ''super saturated blush tint is perfect for that light, spring glow. 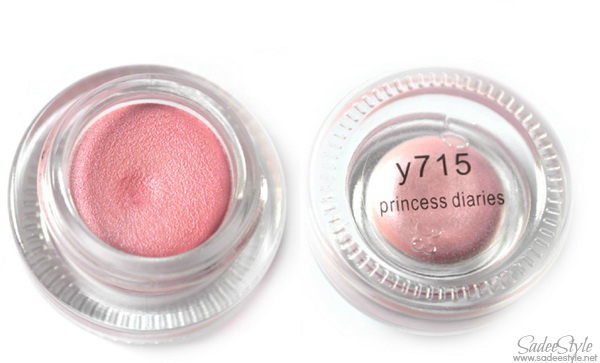 Apply this blush evenly and blend with finger'' I'm probably not a fan dark lined blusher that look so fake. I prefer flawless glowing cheeks so I won't recommend it. It's actually a pink color, but more in coral shade. 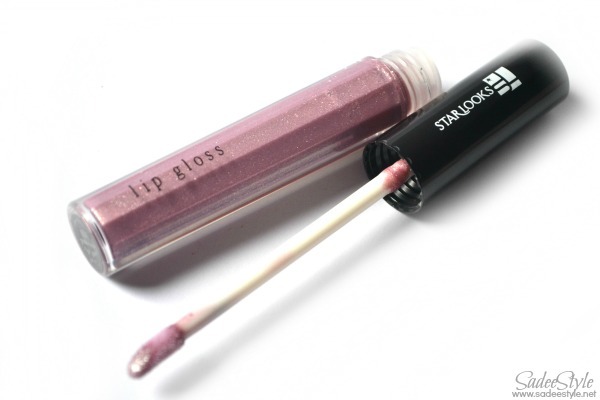 Starlook claim it ''a smooth, creamy, moisturising pencil designed to smooth, line, contour, and define the lip. Perfect for lining the lip or filling in the entire lip. Shade the lips first with Starlooks lipstick and line with this gorgeous pencil, or line lips first and follow with Starlooks Lipstick." It's a unique and very pretty color I like to use it on my entire lips. The lip pencil is creamy and easily glided on lips. 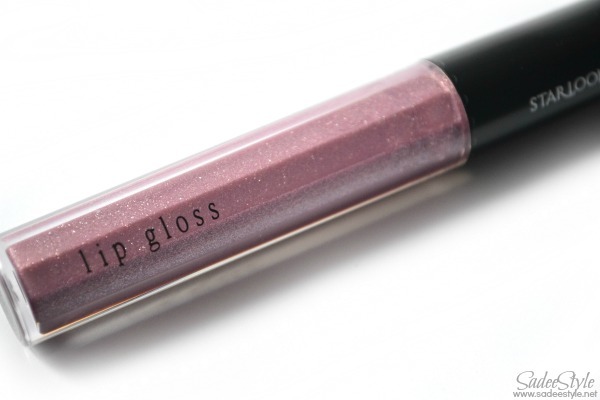 This gorgeous, sheer, sparkling, lavender gloss is perfect alone for a light glisten, or on top of lipstick for that extra, added shine and sparkle. 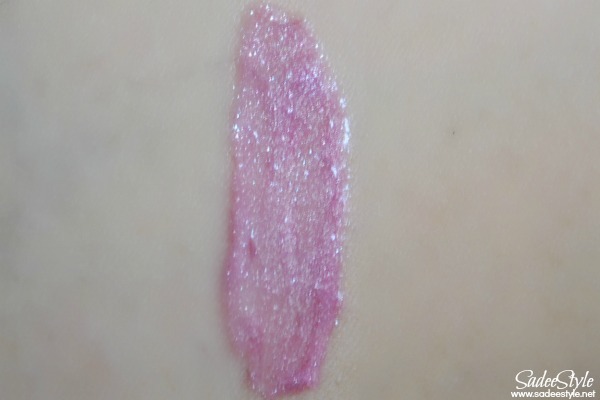 The color looks very horrible plum in tube, but it was very soft and subtle when swatch it. Although it's a beautiful sparkling, but has a bit sticky feeling. The lipgloss looks so pretty! Nice selection of item they have in this month. Specially the liner color is so nice . Lovely products, I like the color combinations! Awesome, i love the blush ! 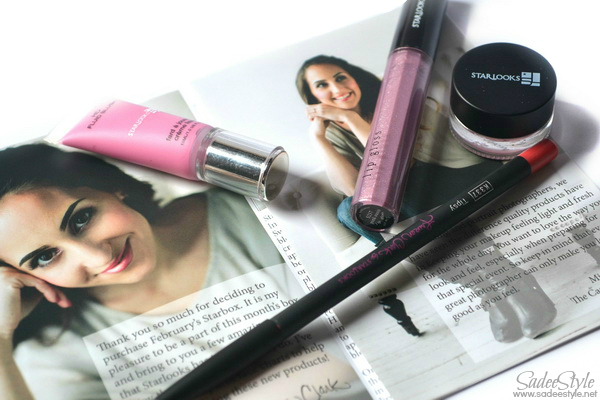 Great Blog and Love the box and especially the pink oasis lip gloss!